Designed for converged physical and logical access, uTrust MD Smart Cards are Microsoft® Minidriver-compatible, PKI-based credentials. Plug-and-play converged access today? Okay! 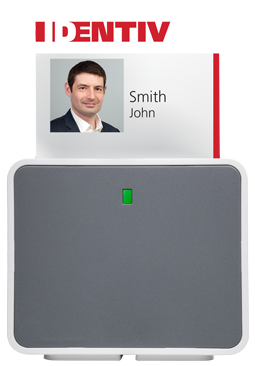 Providing one system for all types of access, these PKI-based, cost-effective credentials are just what you need to combine physical and logical access control. Based on X.509 digital certificates, these strong-authentication credentials are ideal for computer security applications. The Microsoft Smart Card Base CSP is a cryptographic service provider integrated into Windows, enabling Minidriver-compatible smart cards to support Microsoft-compatible security applications, including Windows Domain Log-On, VPN, Outlook® email signing and encryption, secure web access, and Wireless LAN authentication. Compatibility also ensures support for a variety of smart card management systems (CMS) and Certificate Authorities (CA).The Minidriver module is downloadable during Windows updates or can be installed manually. The state-of-the-art uTrust MD security model leverages smart card technology, PKI, and digital certificates, and features secure data storage, user-based access to data, and worldwide-approved EAL 5+ Common Criteria accreditation.